It’s heartening to see basin-wide restoration occurring along important tributaries in the Yakima River watershed where we are seeking to implement integrated water solutions. One of those project we’re helping to fund is underway right now through partnerships via the umbrella of the Yakima Basin Integrated Plan. Dubbed the “Wood Fiesta,” large wood is being helicoptered into remote and rugged terrain and placed in the streams and floodplains to help improve habitat for native fish species. Locations range from Lick Creek near the North Fork Teanaway River in Kittitas County to the Little Naches River near the Lost Meadow Campground in Yakima County. These high mountain tributaries are crucial for healthy stream ecosystems. 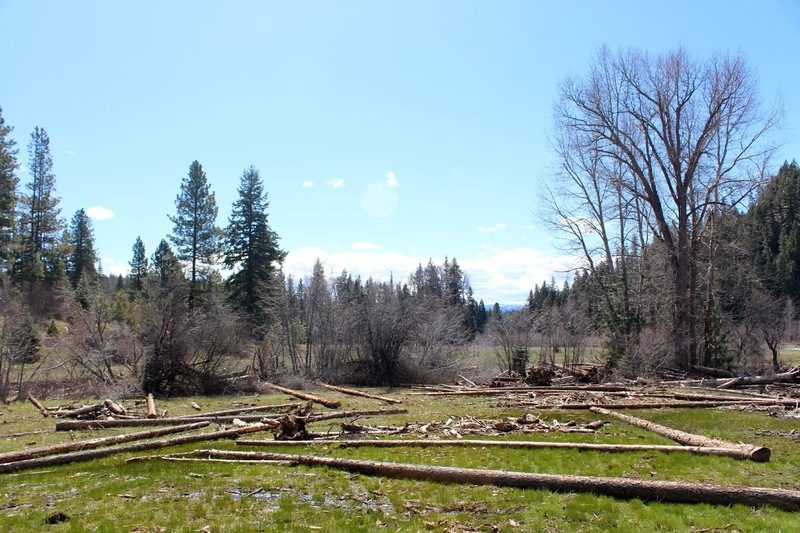 Wood helps reconnect streams and floodplains by slowing down water, forcing water out onto the adjacent floodplains, promoting groundwater storage and recharge. Wood also creates important fish habitat, such as deep pools or overhangs. Larger fish seek out the deeper pools, while smaller fish find protection in the overhangs, nooks, and crannies created by the wood.Perfect during all the life stages of the river's salmon and trout populations. The Yakima Basin Wood Fiesta Helicopter Aquatic Restoration Project is a collaborative effort involving multiple agencies and organizations including the Yakama Nation, Mid-Columbia Fisheries Enhancement Group, Washington Department of Fish and Wildlife, Washington State Department of Natural Resources, the Nature Conservancy and our Office of Columbia River. The Yakima Basin Integrated Plan is a proud participant in the “Wood Fiesta” project and continues to work towards providing water solutions for families, farms, and fish in the Yakima River Basin. Ecology is contributing approximately $700,000 over the next two to three years for wood restoration throughout the basin. Other funding support comes from the Bonneville Power Administration, McNary Mitigation Fund, Salmon Recovery Funding Board, United States Fish and Wildlife Service, Washington Wildlife and Recreation Program and The Nature Conservancy. Now that's what partnerships look like! More information available on the Yakama Nation Fisheries website. 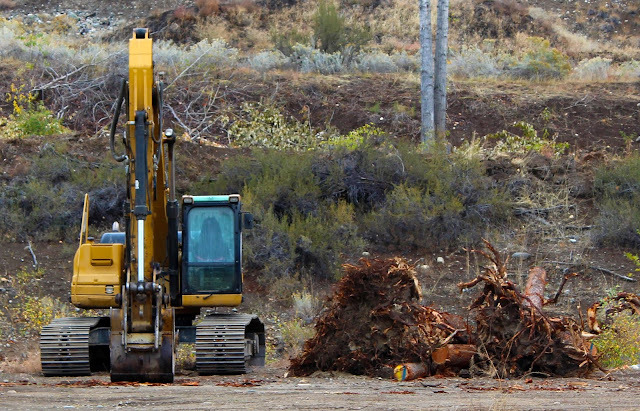 Root wads from downed trees are important elements in restoring areas where lands were cleared next to creeks.